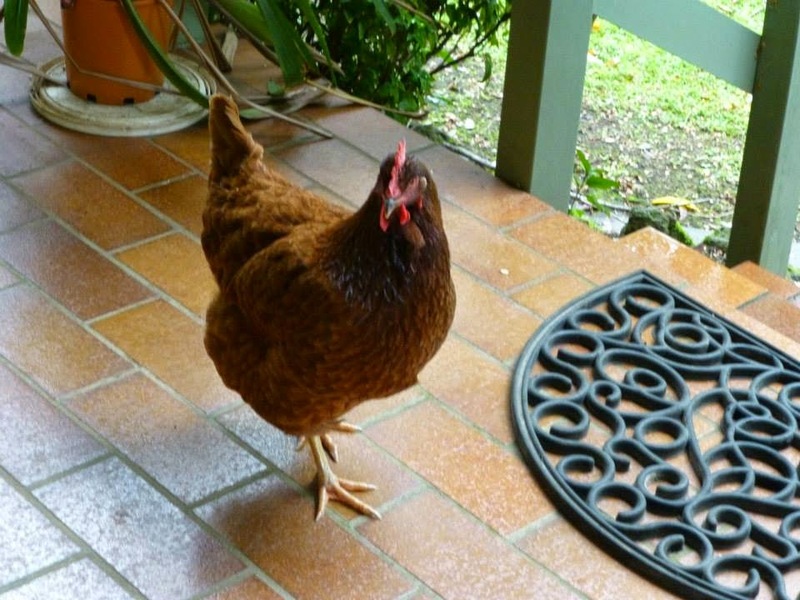 Radish-the-Resident-Chicken is keen to share the story of her near death experience with anyone who will listen. Venturing too close to Will-O’-the-Wisp, in an attempt to snaffle up stray horse pellets at feed time, her foot became trapped under one of his rather large, and very heavy, feet. Willo remained blissfully unaware of her predicament, ignoring the squawks emanating from the ground below, and continued to munch on oblivious. It took the intervention of a human member of the Joyfallee clan to convince Willo that the world would be a much quieter place if he would just move his foot. Radish tells a rather different version at the end of the tale, describing how, single footedly, she took on the might of Will-O’-the-Wisp and won, by dint of unflinching valour combined with well aimed razor-sharp pecks, forcing her captor to retreat. Thankfully her only injury is a bruised toe, which she puts down to her strict fitness regime and diet, maintained in readiness for the defence of Joyfallee….although she is re-thinking the horse pellet component of her diet. And now, from stage left . . . . .